The smell of fresh homemade pie is the stuff great memories are made of. I don’t know about you, but that yummy smell of hot apple cider, or a fresh apple pie always bring back great memories with my family. Having a tasty dessert, hot cocoa, a nice fire and family time, whether it be playing board games or just sitting around chatting. Homemade can take longer, obviously, and during this time of the year time is tight for many. I love taking some easy store bought desserts and adding my own twist to them. 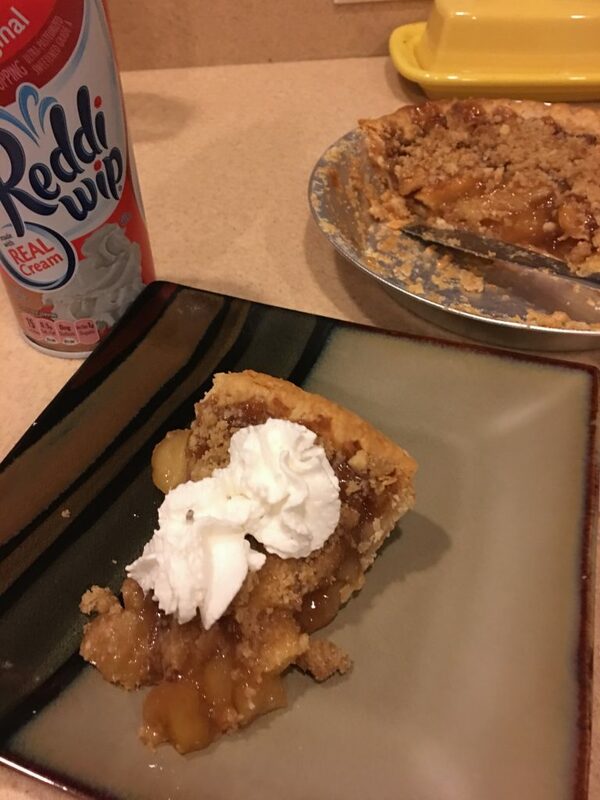 Marie Callendar’s Dutch Apple pie, topped with a bit of caramel drizzled on and then Reddi-Whip to top that off, SO good! 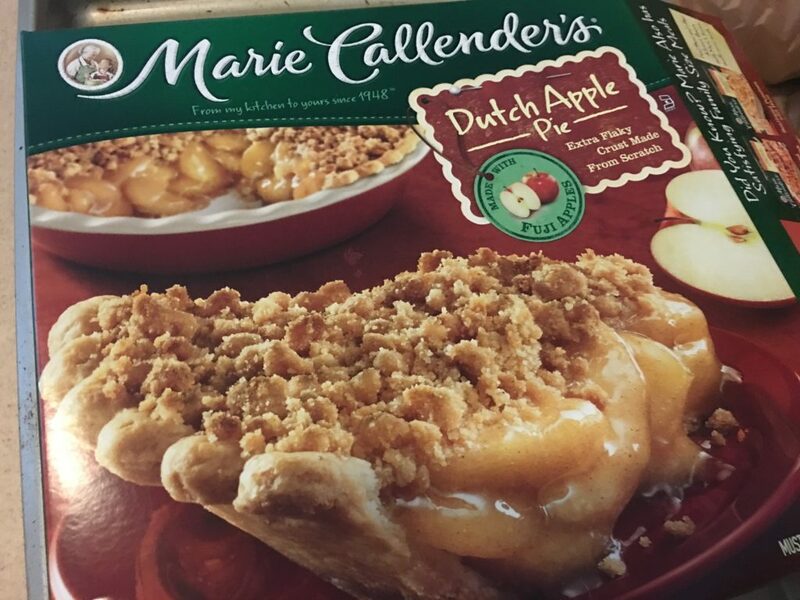 I was actually shocked at how tasty this Dutch Apple Pie was. Warm, with the Reddi-Whip, caramel and even a bit of vanilla ice cream and this is a perfect addition to your Swiss Miss Hot Cocoa with Marshmallows! Walmart has everything you need to a tasty dessert and put your own twist on it! Right now you can head over here and get all kinds of great tasty treat ideas! There are so many ways you can add just a little homemade twist to your premade desserts! The kids actually love it with just the marshmallows and sometimes those tasty melty peppermints, it gives it a great flavor. 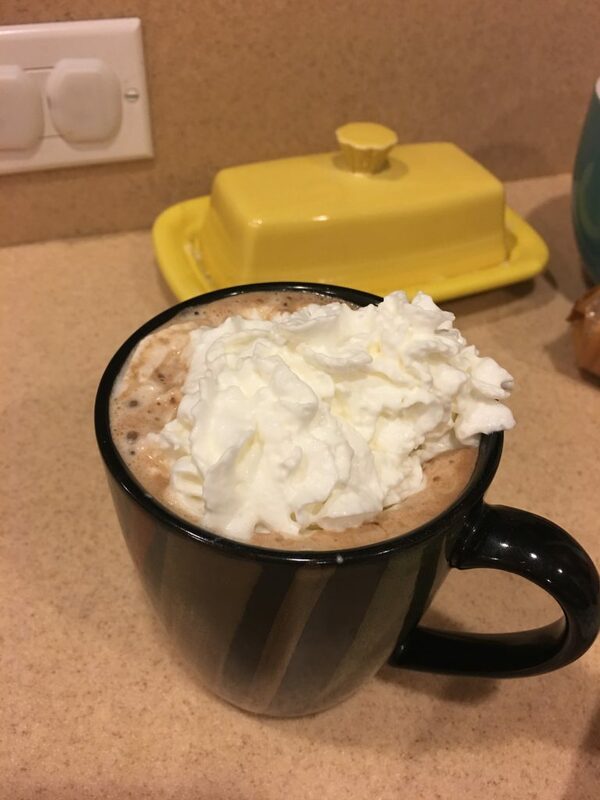 Or… I am LOVING this idea, frozen Reddi-Whip on top of the hot cocoa!!! What are your hacks to make a premade dessert just right and more “homemade”?